The Toyota 4Runner has come a long way since its humble beginnings in the mid-eighties. From starting as nothing more than a Hilux with a new name and a truck cap, it has transformed into a very popular and distinct SUV that maintains a loyal following of 4WD enthusiasts. 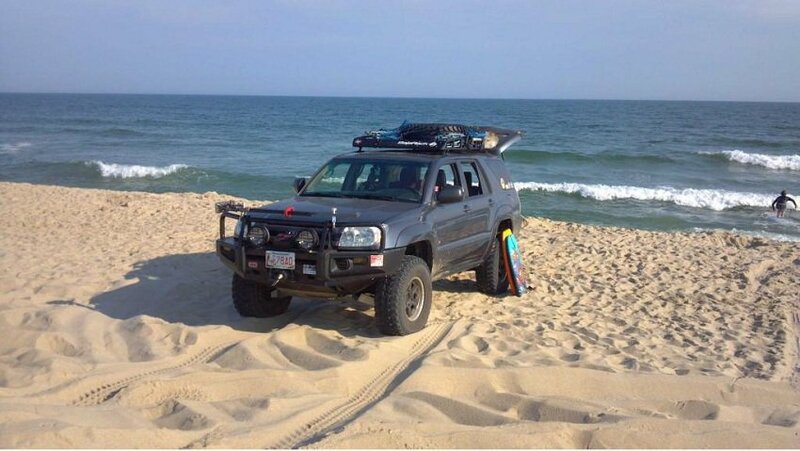 Like most Toyota products, the 4Runner has developed a reputation for capability and durability on the trail that when combined with a few aftermarket products, can make an excellent platform for anyone crossing long distances on harsh terrain. 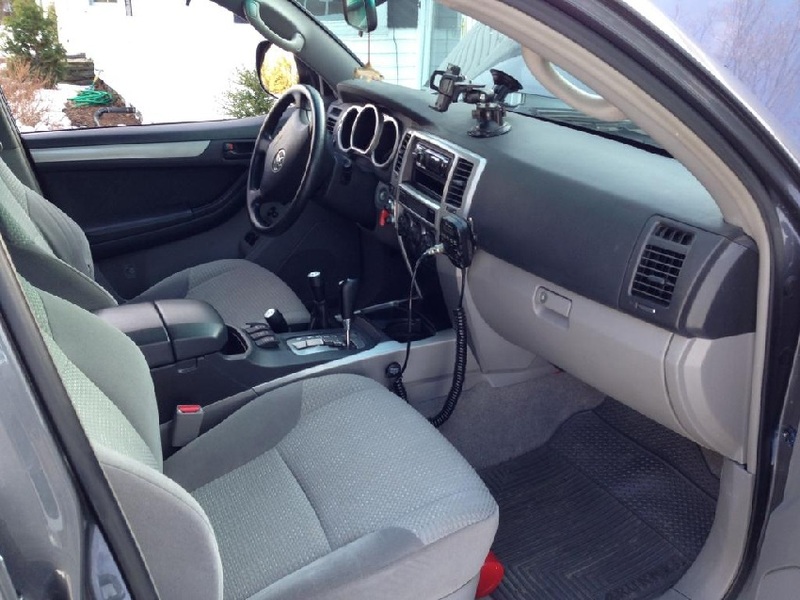 Unfortunately while many owners have happily modified their first through third generation models, a far smaller portion have utilized the capability and comfort of the newer fourth gen, at least not to the extent of this seller’s 2004 SR5. With a current bid of under $13,000 and a list of modifications as long as a DMV line, this 4Runner could be just the vehicle you’ve been looking for. From the ARB bumper with Warn winch, to the strengthened drive train, it’s hard to know where to start when describing this truck. It has received full undercarriage protection and skid plates for almost all of the vital components as well as Rocky-Road sliders to protect its lower rocker panels. 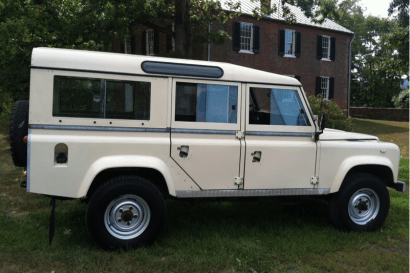 For help crawling through or over almost any obstacle, a twin stick transfer case was installed with 4:88 gears, as well as front and rear locking differentials connected to an ARB air compressor. 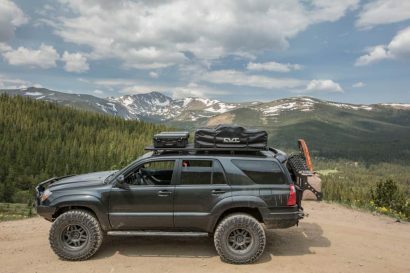 Thanks to a 2.5″ OME medium duty suspension, this 4Runner sits comfortably on ATX wheels wrapped in 33″ Firestone MT tires that give it an aggressive look and provide improved off road performance. While it does have over 121,000 miles on the clock, the truck appears to be in great shape and shows only minor scratches and interior wear for its age. If you’re looking for a turn-key Toyota for expedition travel, you can’t afford to miss this awesome SR5. · I had a minor front end accident several years ago that damaged the lower front bumper and driver side spindle. This is when I installed a new ARB Deluxe Bull Bar. I have included a photo of the damage. · Full BudBuilt Skid Plates including the rear differential. 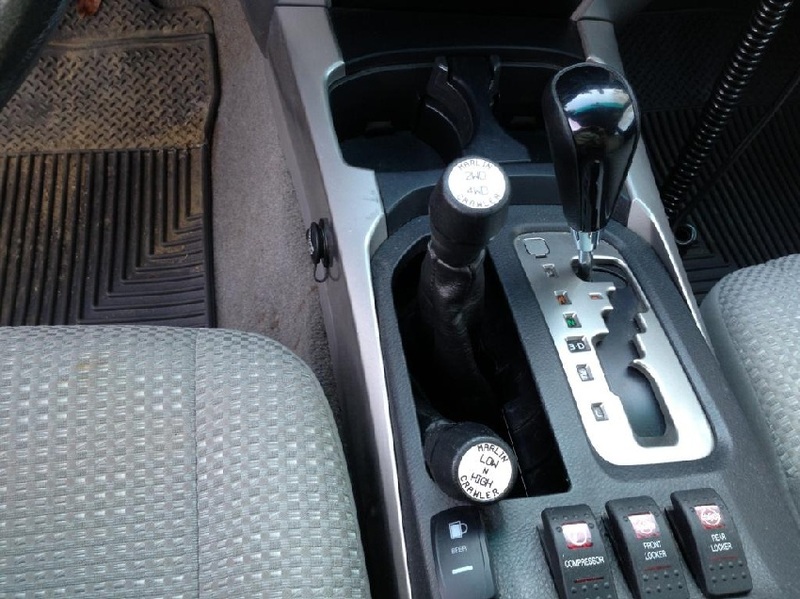 · Marling Crawler “Left” twin stick transfer case professionally installed. Provides 4hi, 4lo, 2hi and 2lo. This thing is awesome and replaced the stock inferior chain-driven case with electronic actuator motors. · Front and rear ARB Air lockers with high output air compressor. The lockers were installed by a certified drive train shop. Rear locker uses stainless steel airline routed through the frame. · Nitro Gear and Axle 4:88 gears with solid spacer professionally installed. While this was done I made sure to include a complete master rebuild kit. · Ricochet Front Control Arm Skid Plates. · Total Chaos Lower Link Skid Plates. · FJToyman Rear Shock Mount Rock Guards. · New Flowmaster CAT-BACK Exhaust. · ATX Storm Teflon 16×8 Wheels. 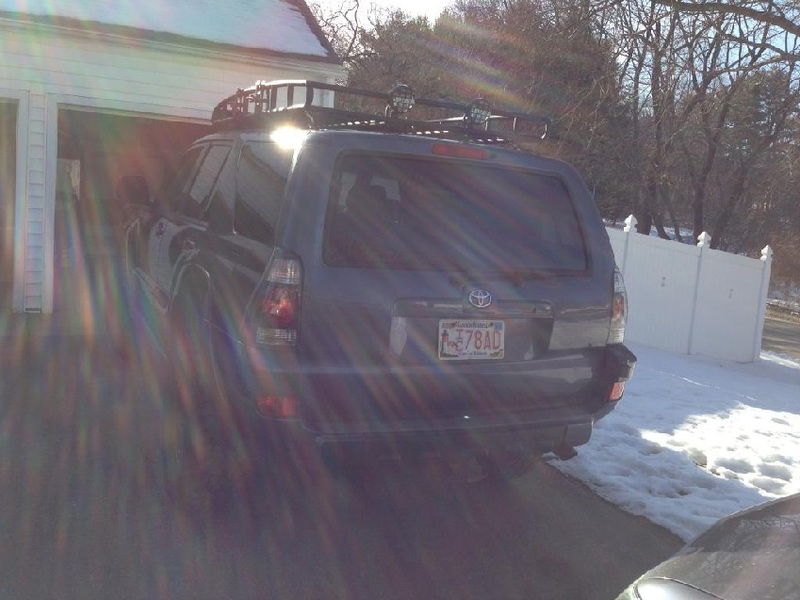 · Bajarack Roof Rack with Shovel Mount and Spare Tire Bracket. · Old Man Emu 2.5″ Suspension (medium duty). 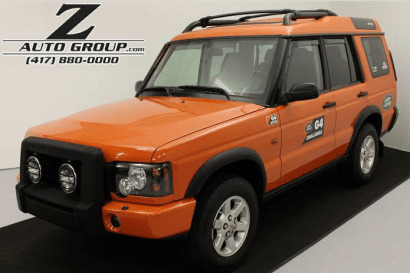 · Complete undercarriage was treated with Waxoyl by professional Land Rover shop. · IPF 901 9-Inch Offroad Driving Lights mounted on the ARB Bull Bar. · PIAA 510 All-terrian Pattern Offroad Lights mounted on rear of BajaRack. · Roundeyes LED rock lights installed on the rock sliders (two per). · 12VoltGuy in cab winch control. · Cobra 75WXST CB Radio with Band mount and Firestick antenna. · Sony Receiver with Bluetooth and internal iPod Tray. · Bull Bar Billet Hi-lift Jack mounts. · AFE Throttle Body Spacer. · 285-75-16 Firestone Destination MT tires with 65-70% tread left. · Custom rocker switches from OTRATTW. I have built this truck over the last several years for reliable expedition style off-roading and have never abused it on the trail. It is incredibly nimble on the trail and the crawler case lets you traverse terrain with much more control and reduces the needs for down-hill braking. It is also amazing just crawling up obstacles. I have yet to find another 4th Gen 4Runner built as well. On the highway the truck has no issues cruising at speeds up 80 mph. It drives straight as an arrow with no wobble or odd vibrations. The mud terrain tires can of course be felt a little bit and do add a bit of road noise. The AC blows cold and all gauges work. Please note the truck does have minor scratches from spring runs when the foliage becomes overgrown on the New Hampshire Class 6 roads. o I removed the tire pressure sensors from the wheels, so the light stays on. New sensors would correct that. o There is a very very small dent on the rear hatch. No scratch. o The downhill assist button is no longer in the truck. The crawler case easily exceeds that capability of this brake assisted function. The ECU has been properly rewired to maintain all other functions. o The spare tire cable that raises and lowers the spare does not work. I have the spare tire mount for the BajaRack. o Has the typical small stone chips on the front grill from driving on the highway. o There is a small puncture in the lower corner of the driver’s seat. May have been a screwdriver that was in the back pocket of a mechanics pants. o The ductway that ran through the center console to the rear center console vents has been removed. These vents no longer blow air (I never used them before anyway). Needed that space for the shifters. o The emergency brake works but the line has been stretched so no further adjustments can be made.